Sometimes the changing seasons tend to take their toll on our skin. In late fall, the temperatures drop even more steadily, leaving our skin feeling dry and irritated. If your skin needs a little extra care this November, stop by the Unique Threading Salon in Chelsea for one of our facials. As we age, our skin can grow dull without the proper care. This facial can help rejuvenate the skin. First, we extract toxins from the skin and apply a treatment that uses diamond particles, date extract and the mineral Tankana to help boost your cell regeneration. If you are looking to detoxify your skin, try this facial, which gently but deeply cleans your pores. We use a cream and a masque that contains 24-carat gold particles and herbs to release impurities in your skin and boost new cell growth. Helping to reduce the appearance of fine lines, your skin will look and feel radiant following this treatment. Even if you suffer from acne, this treatment helps control acne using nutrients derived from the Neem tree. Not only will this treatment sooth and protect your skin, it also contains microbial properties to help keep acne at bay. In this treatment, your skin receives the nutrients it needs to reduce irritation. Does your skin appear dull and tired? This facial deeply penetrates the surface of your skin so that it absorbs the oxygen, moisture and nutrients completely. Not only will your skin appear more radiant, this facial helps prevent your skin from inflammation, breakouts and age spots. Your skin texture will feel smoother and firmer and be more deeply hydrated. If you are seeking a facial that lasts under an hour, check out our herbal facial, which uses Ayurvedic ingredients to nourish and replenish your skin. First, we deep clean and perform extractions, then we apply the herbal masque to revitalize your skin and provide deep moisture. If you would like to fade age spots or dark patches on your skin, try this Ayurvedic skin brightening treatment. With age-fighting proteins and nutrients, you skin will appear brighter and feel deeply hydrated. 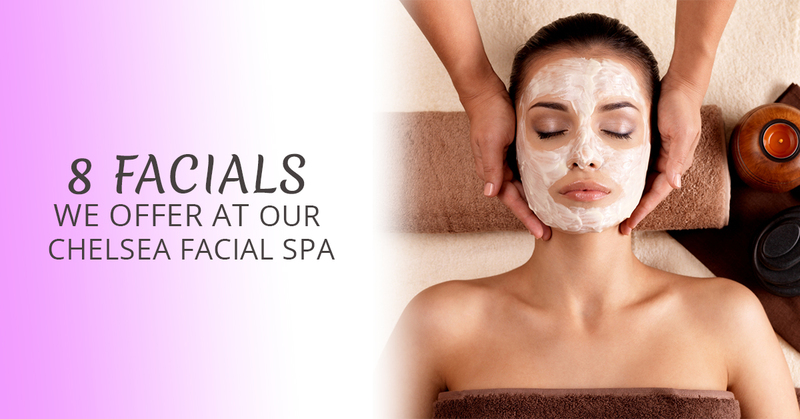 If you’re on the go, consider our express facial, which only takes 30 minutes. Just because this treatment is short does not mean that it’s ineffective. We deep clean, tone, exfoliate and apply a treatment masque to your skin. Following the treatment, your skin will appear more balanced and feel incredibly smooth. Do you experience breakouts on your back? Try this Ayurvedic treatment, which not only reduces inflammation but relieves tired muscles. If you are interested in experiencing one of our amazing facials, make an appointment at our facial spa in Chelsea, Flatiron or the Garment District. Contact the Unique Threading Salon today to make an appointment.